Off late, I had been suffering from what I call the “fat wallet syndrome”. 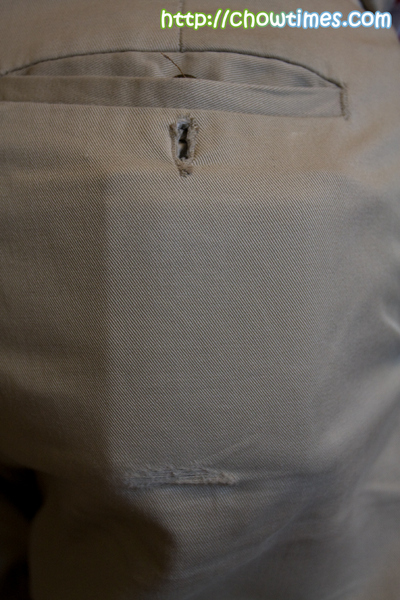 You see, in the span of a week I found out that I have this wear in three of my pants at the same time. I have no idea how long I had been walking around like this. I soon found out that it’s because I carry my fat wallet in my back pocket. I stick all kinds of plastic cards in my wallet that it just got fatter and fatter over time that I did not really notice how fat it was. I have a habit about my clothing. I had been buying them from the Washington State for the past few years. I just find that it is easier to find one that fit and looks good from the US than those in Vancouver. So Suanne and I took the opportunity over the weekend to drive down to Bellingham to buy new clothings while the boys were engaged in their activities. After a round of shopping, we decided to stop by the Olive Garden for lunch. We had always seen their commercials on US TV channels and thought we should check it out. We went to the one on Meridian St.
Olive Garden is an American chain restaurant specializing in Italian food, particularly styled after the region of Tuscany. Olive Garden does quite a good job styling their restaurant like old rustic Italian setting. Behind it all it’s really another American chain restaurant. Even the dining rooms were arranged in such a way that it’s separate dining rooms with different themes in each room. 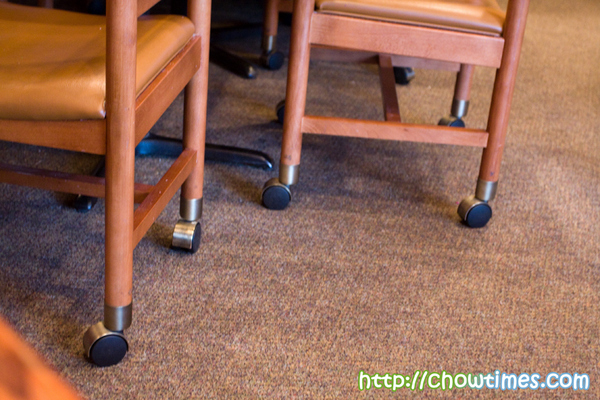 I really like their chairs … with rollers. That to me is good old American efficiency at its best. It’s actually a great idea because I find it very easy to reposition my chair when I want to. Service was great and prompt. With the menu being new to us, they were very helpful in getting our drink orders. We ended with a Strawberry Bellini and Frozen Tiramisu. Both drinks were about $6+ each. Suanne liked the Frozen Tiramisu especially which was really rich and creamy. 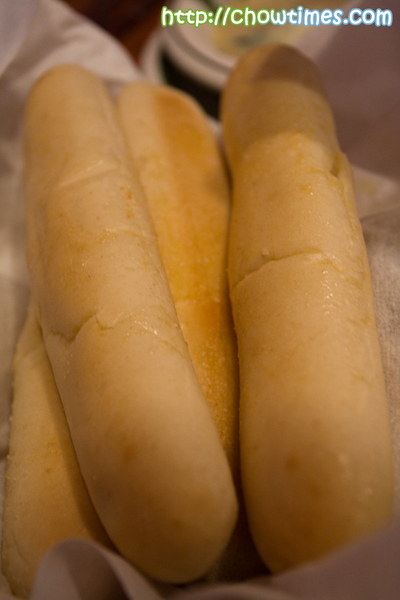 The breadstick were quite good. It was served warm, is soft and lightly salted. What I like best is that they were very quick to ask if we wanted more the moment the last piece was taken from the basket. The service is top notch — it was awesome. We noticed that one common item on every table is the large bowl of fresh salad. 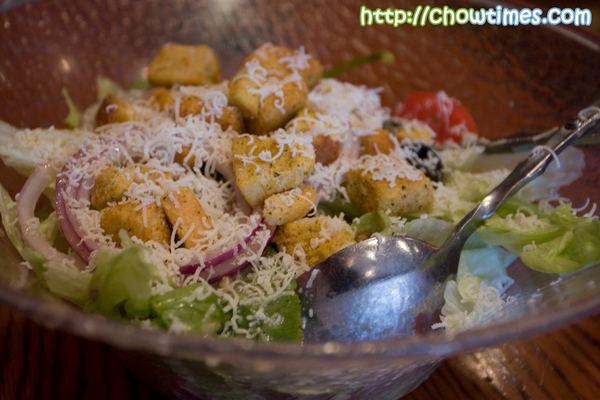 They do make good salad with really fresh vegetables and a “say when” amount of grated cheese. He he he … when the wait staff came by and asked Suanne “say when”, Suanne did not quite hear what he said and replied “yes” … and he went on and on grating cheese into the salad until I realized there was a breakdown of communication and quickly said “stop!”. The soup is called the Zuppa Toscana (I think). We like the fact it was not too thick and creamy. It had kale, potato and sausage in it. Moreover, they even asked if we wanted more soup. We were tempted to say yes but decided otherwise. You know at the point when we had the salad, we were quite full already with the drinks, bread sticks, soup and salad. We had not even started on the main yet! Americans sure know how to eat. 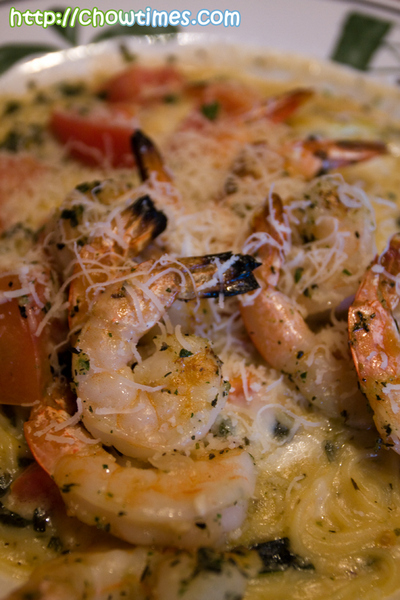 My main is what they call Grilled Shrimp Caprese ($17.50). We somewhat link the words Caprese with capers. Not sure if it is right but it sure felt correct. Not that I know what capers are actually … but Suanne told me that capers are sourish and tastes exactly like this dish. The Grilled Shrimp Caprese was served on extremely hot plate that they had to warn me how hot it was. It came with angel hair pasta. Did I like it? No, not at all. It was way too sour for me and way to creamy too. About the only thing I enjoyed here was the grilled shrimp. Suanne’s order was the Tour of Italy. From the name itself, it’s like a combo dish. But it was too large a serving. Suanne did not even manage to eat half of it. There are three items in the Tour of Italy (sounds like the name of a bicycle race) … lasagna, breaded chicken parmigiana and fettuccine alfredo. It did not really taste that good at all. I don’t know … this looks more like American comfort food than Italian cuisine if you ask me. They have really nice looking desserts. As much as we wanted to get one to share, it was simply impossible for us to eat another bite. We had the leftovers to go. I was impressed that they even have Styrofoam boxes with their logo on it. We tried to stuff the two remaining bread sticks into the box but the wait staff stopped us and have us proper oil stain proof bags. They did not have to do that but they did. Service wise, it was awesome. The total before tips came up to just under $50. That was a lot of food but frankly we did not quite like the mains we had. The rest of the meal was great but it was too sour, vinegarish and creamy to the liking of our palate. 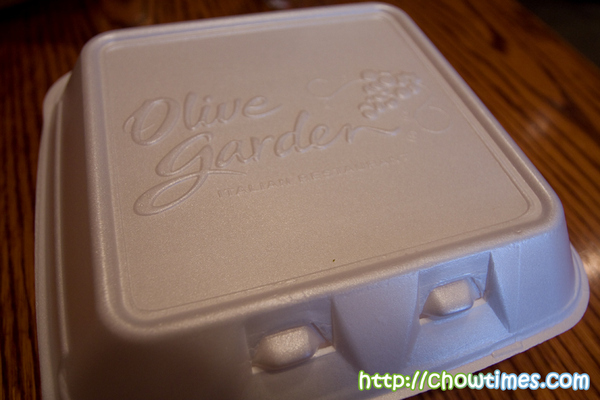 Olive Garden serves its purpose, no more, no less. Its theme and branding does not imply authentic Italian cuisine, but how it’s interpreted is up to the individual customers. 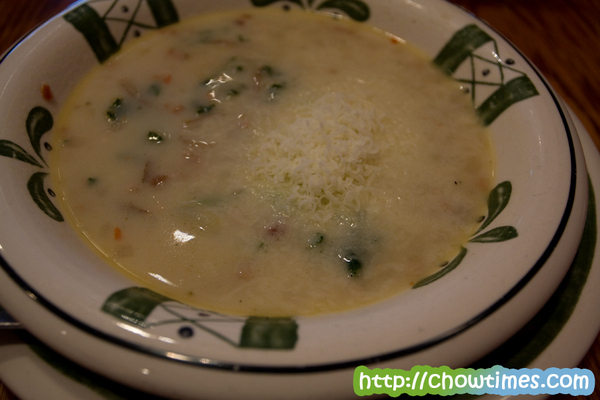 The only good thing about Olive Garden is the unlimited Salad or Soup. The food is average at best. Interestingly this Bellingham location has maybe 70% Canadian Customers, and 30% american. They’ve opened up a new Olive Garden at the Premium outlet. Gives more choices now besides the sad food court, the overpriced buffet at the hotel and Applebees. Went to the one in Langley. Really loved the breadsticks and salad! My pasta was good but not amazing. I personally always had bad eating experience at Olive Garden. They always make us wait at least 15 minutes for a seat even though there are lotsa tables available. My husband and I think it’s a marketing gimmick. If you think Olive Garden is great, you’ve never had Macaroni Grill. There’s not many of them, but if you do see one, you have to eat there! It’s about the same price, maybe a little more, but with much higher quality food that is real good… and the embiance feels like an expensive restaurant! LOL I just happened upon your site as I was googling recipes for making “things that are not rice” in a rice cooker. And i am really enjoying your blog. Thanks for all the different TYPES of recipes! Hi..just a little FYI..Caprese refers to something that comes from the Isle of Capri in Italy. Capers are the immature buds from a small bush native to the Middle East..they are dried and then brined. Oooh I love their breadsticks! 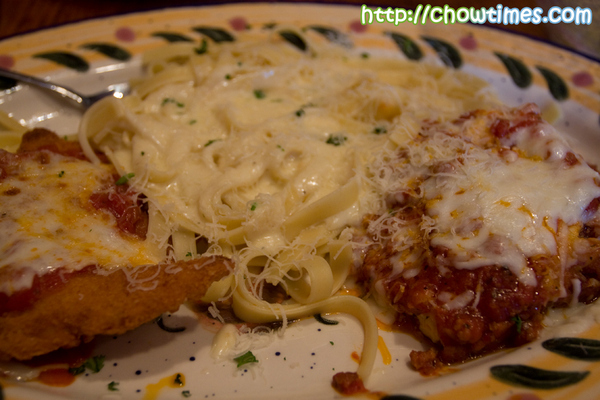 The three dishes on the Tour of Italy are really authentic italian dishes. Americans, like they do with chinese food, have made it much richer and oily than it needs to be. 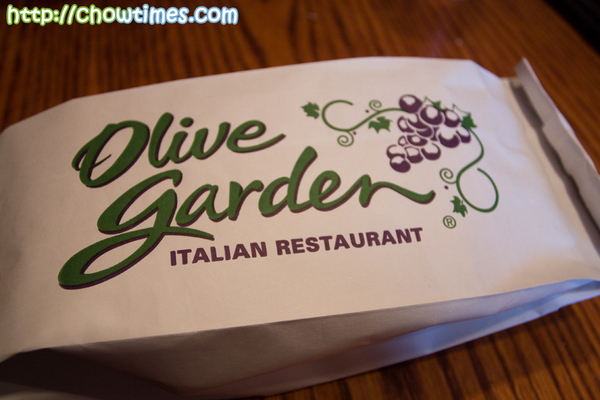 I’m from New Jersey, so we have Olive Gardens here all over the place. Generally, cream sauces with pastas are overbearing, but I would definitely recommend “shrimp primevera” on their menu. The drinks look tasty. Tried to go to Olive Garden once but there was a line up out the door at the one in Langley. 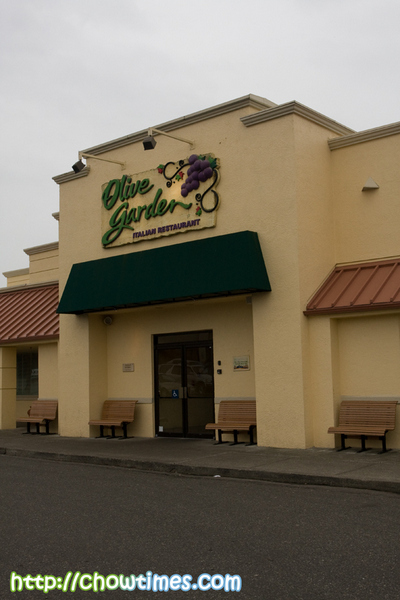 Where I grew up, we didn’t have Olive Garden so I only went once in California and I thought it was good. But this was like 15 years ago. 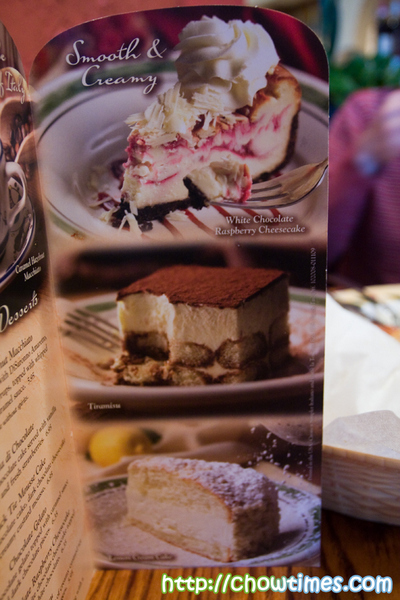 Last time I went to Olive Garden I was disappointed that almost all of their dishes had butter or cream sauce. When I go to Olive Garden, I just get the soup, salad and breadsticks. It is on their lunch menu every day. 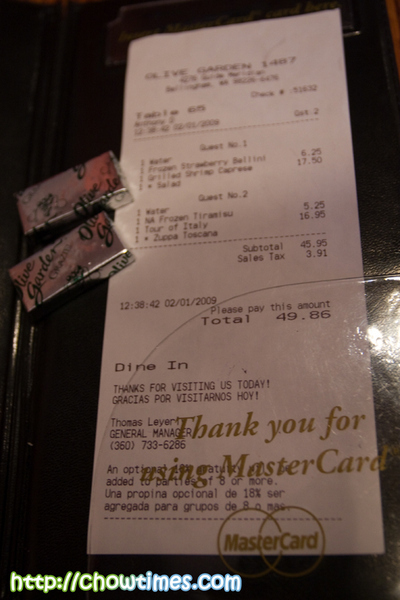 It is a lot less expensive than an entree so your wallet will not get much lighter! 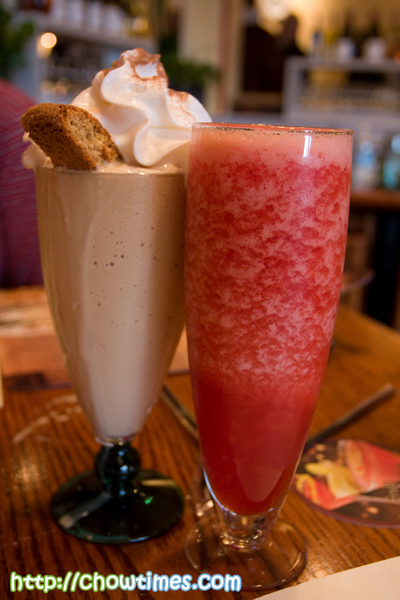 That tiramisu drink looks good, though….